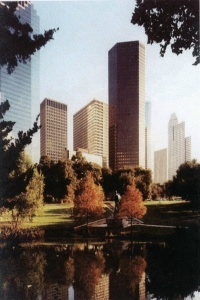 Robert Orkin is the sole owner of Robert Orkin Interests, Inc. and Robert Orkin Interests I, Ltd. Orkin has been actively involved in the commercial and industrial real estate business in Houston, Texas since 1979. He is a native Houstonian. During summers and school vacation of college and law school years (1975-1978) he worked for Maurice H. Joseph, Inc., the largest and oldest commercial/industrial real estate firm in Jackson, Mississippi. From his parents and work experience during school vacations, he learned "a good name is better than gold" and he strives to achieve success and integrity. 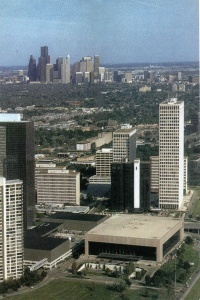 Orkin began his real estate career in Houston after graduating from law school in August, 1979. Starting out as the Assistant to the President of Century Corporation and Century Development Corporation in 1979, Orkin assumed many responsibilities and managed multiple projects and eventually became Vice President-Acquisition and Development. 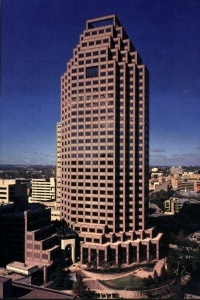 For example, he was Project Manager for NBC Bank Plaza, a 30 story $85 million office building developed on-time and in-budget in downtown San Antonio. Orkin was also involved in the development of Greenway Plaza and Allen Center, two 5 million square foot mixed-use developments in Houston. Greenway is now owned by Crescent REIT and Allen Center is now owned by Trizec Hahn. See our list of some of the projects handled by Orkin while at Century. After a fulfilling ten year career at Century, Orkin formed his own companies in 1989. With the knowledge gained and skills learned from working with former Century owner Kenneth Schnitzer and his executives and some of the best architects, engineers, consultants, contractors, lawyers, mortgage lenders, equity partners, property management and leasing personnel, brokers, government officials and others in Houston and other parts of the U.S., he set out to make available to individuals, corporations, partnerships, real estate investment trusts, government agencies and healthcare providers, the knowledge and skills he had learned. Orkin's services enable people and companies to simplify their real estate decision making process. He listens carefully to your wants, needs, desires, specifications, parameters, and objectives. He maps out a game plan to obtain all the relevant information and data, and then he digests the details. After this analysis and evaluation, Orkin works closely with the clients to devise a strategy that meets their objectives. Robert Orkin Interests, Inc. and Robert Orkin I, Ltd. provides a full spectrum of commercial real estate brokerage, consulting, management, marketing, mortgage brokerage and development services.